You may not know that our seals and sea lions have nails. We don’t call them fingernails, or toenails, or even flipper nails. Just nails. And each species of marine mammal here at the Aquarium use their nails for different purposes. In fur seals, their toenails are exposed about halfway down their hind flippers. That is where their toe bones end. 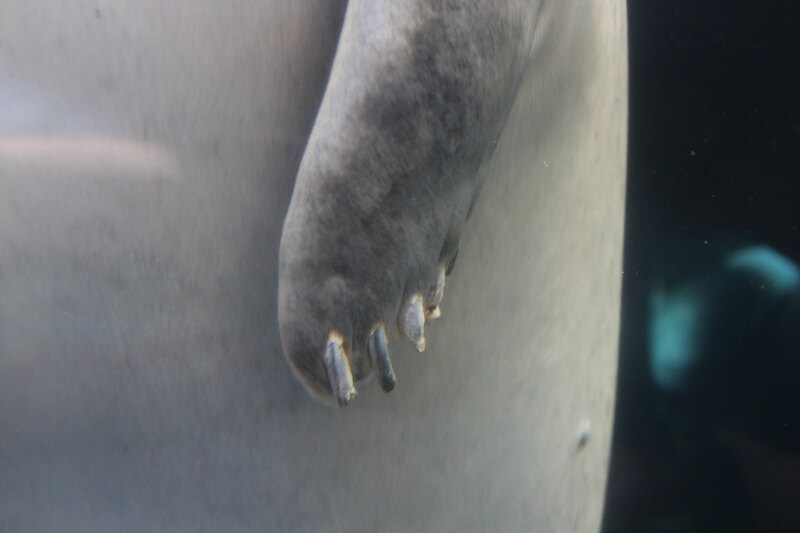 Their flippers continue past the nail with long flexible cartilage. The toes, nails, and extensive cartilage is necessary for reaching all the fur on their backs for grooming. 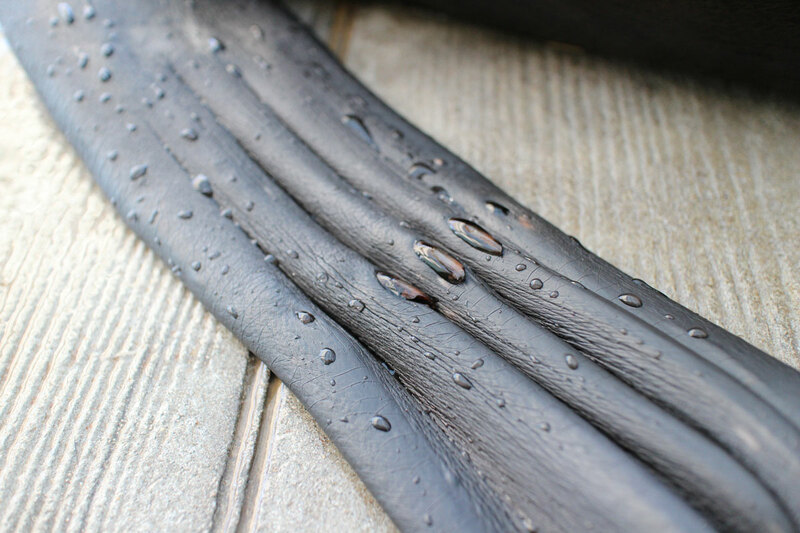 We don’t have to clip the fur seals’ nails because they never get too long. That’s most likely from them grooming so often. Fur seals must groom their fur for hours each day in order to maintain their coats. They are, in fact, the second furriest animals on the planet (behind sea otters) and they rely on those dense coats to keep them warm. The sea lions also have nails on their hind flippers. But they don’t have the lush fur coats in need of constant grooming like their neighbors in the Marine Mammal Center. Rather, they mostly use their nails for scratching — especially those hard-to-reach spots on their chins or backs. The trainers do, however, clip the front nails of the harbor seals. Since the seals at the Aquarium don’t have to scrabble around on rough shores amid crashing waves, their nails don’t wear down. So we use regular old dog nail clippers to keep their nails trimmed, and the process works pretty much the same way. In fact, the seals are so comfortable with nail trims that sometimes visitors get to learn about this husbandry technique and observe the manicures during training sessions at the Harbor Seal Exhibit. 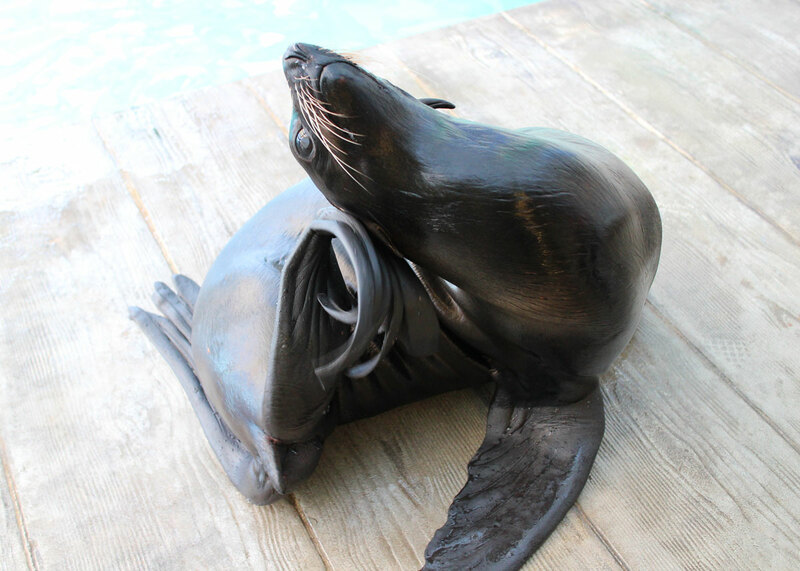 Because our trainers work closely with the seals and sea lions, they develop trusting relationships with the animals that make these kinds of husbandry techniques possible. 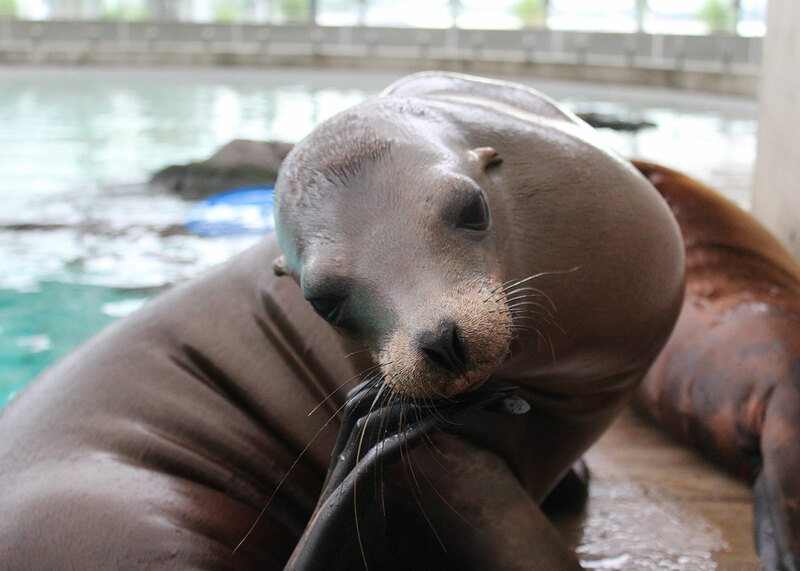 Visitors to the Aquarium can attend a training session and learn about how learned behavior can help with tooth brushing and nail trimming and even a seal’s medical care!